Happy Monday lovelies! I don't know about you but I'm so excited it's Thanksgiving this week! I need to hit the gym hard this week so I won't feel bad about all the food I'm planning on consuming Thursday... and Friday. Can't let leftovers go to waste! Tomorrow I have a very long and very important meeting so if you could send good vibes my way I'd definitely appreciate it! These types of things really drain me too so I won't be surprised if I pass out early tomorrow! And by early I mean like 7:30. Don't judge! I had a fairly busy weekend so I'm already tired! On that note, it's time to link up with Biana for my weekend recap! Friday I spent most of my time cooking and baking for our last UCF home tailgate of the year. I can't believe college football is almost over already.When I was growing up my dad would always make these sausage balls that I LOVED so I decided to make those for the tailgate since it was a breakfast food tailgate. After doing all the cooking and baking we decided to play some darts and watch tv which ended up being a nice relaxing way to spend a Friday night. 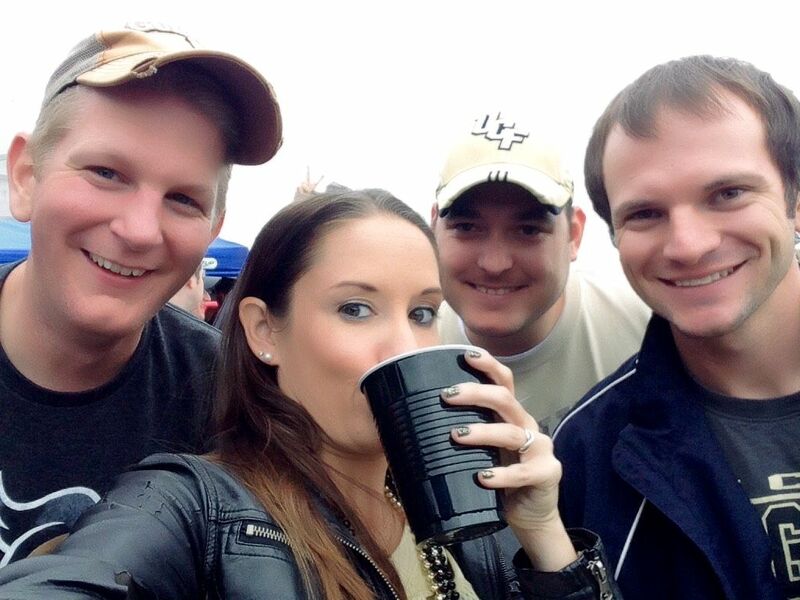 Saturday we got up bright and early for the UCF game. 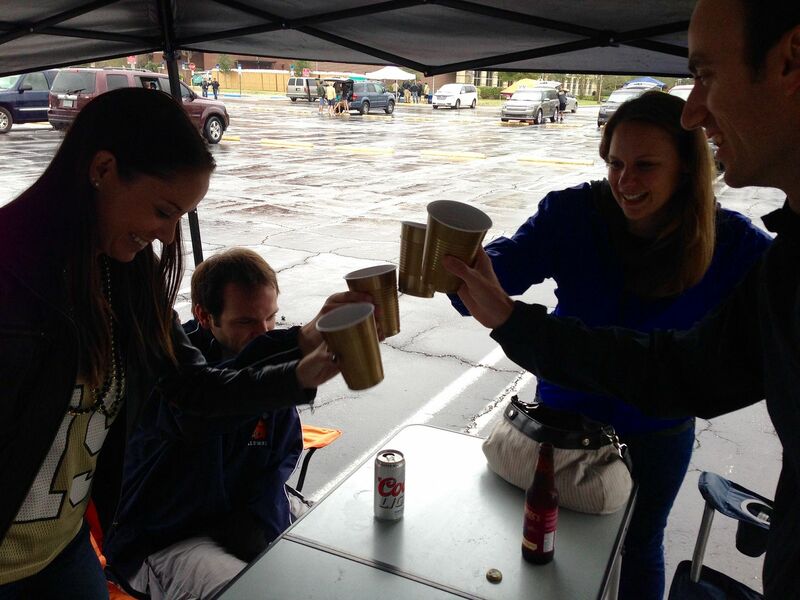 The weather was HORRIBLE but we couldn't pass up tailgating so we headed out and hoped for the best. After a few games of chandelier and some vodka shots later things got a bit iffy, thankfully not for me! Pacing yourself is definitely the key... and vodka shots are never a good idea. But UCF dominated SMU and we won 53-7 so it was an awesome way to "end" the season! Sunday I did something I rarely do... go to the movies. Seriously, I don't think I've been to the movies in over a year. I almost never go but I definitely wanted to see Mockingjay so me and a group of friends grabbed lunch and went to see it. It was REALLY good so I'm happy I went! I definitely wasn't a big Gale fan when I read the books but I love movie version of Gale! Did anyone else see Mockingjay this weekend? Hope everyone had an amazing weekend! I have heard good and bad things about Mockingjay. I am not a big fanof the series, but the movie trailer looks amazing. I might have to check that out over the break. Now that is dedication!! I admire that you went to a sporting even in the rain haha but those sausage balls do look delish!! and now I want to see that movie! I'm glad your team one and you were able to have one last tailgating! I'm seeing Mockingjay while I'm with my family for Thanksgiving and I'm definitely looking forward to it! Good luck with your meeting! Can't wait to see Mockingjay...love the series. My sis and I are planning a date to get this done soon. Glad to hear it was good. Good luck on your meeting tomorrow...you will do great and then you can be free to have a great rest of your week! Those sausage balls look amazing, yummy! Sounds like a good weekend! I always love when you sneak in a picture of you and the hubs, ha ha! Ah! Can't wait to see Hunger Games because that means DATE NIGHT!! ha ha! We already have a babysitter lined up, yessss! Good luck with your meeting!! Thinking of you! Um, need to make those sausage balls stat!! They look perfect for a morning tailgate! I love sausage balls- yours look delish!! And I can't wait to see Mockingjay- I'll probably end up going on Thanksgiving! I was a Peeta fan when I read the books, but this movie definitely made me feel for Gale again! That seen when they were in her old kitchen. I mean swoon. haha. Good luck at your meeting today! Good luck with your meeting! I haven't seen Mockingjay yet but am hoping to squeeze it in over Thanksgiving weekend! I need to see Mockinjay asap!! 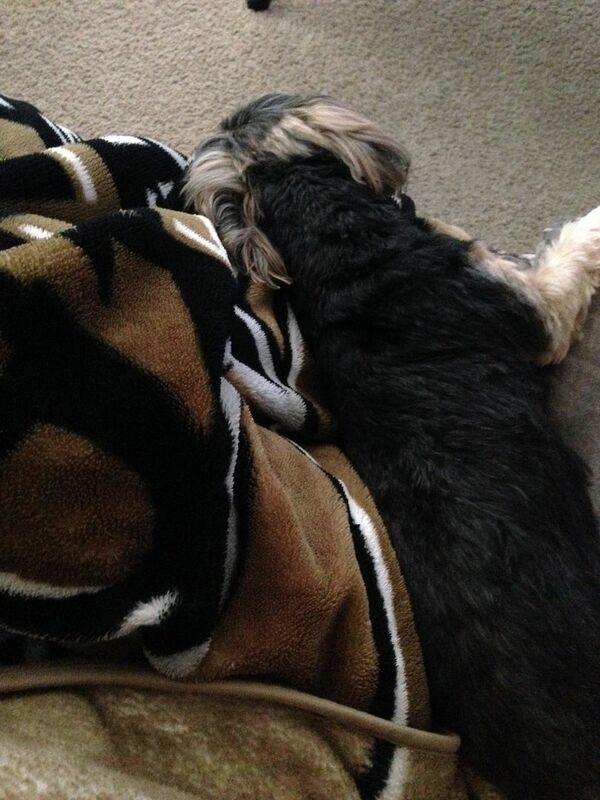 It looks like you had an awesome weekend and so happy your team won! I'm going to have to see Mockingjay when I go home later this week. Happy to hear you liked it! I've heard such good things. Sounds like you had a great weekend! We saw Hunger Games, too! I'll admit that I was a bit underwhelmed by it, but I'm sure the last movie will be good. I'm with you on Gale, though - it definitely doesn't hurt that they cast Liam Hemsworth as him in the movie. ;) Glad you had a good weekend, girl! Looks like it was a great weekend! Good Luck with your meeting!! Hope it goes super awesome!! ... and glad to know that I'm not the only one hitting the gym hard in preparation for all the eating! and yes hitting the gym this week, even if i don't eat that much i know it will all be bad.. ugh! shots are never a good idea lol! OMG those sausage balls yum!! Oh geeze Katy filled me in about saturday haha! I'm so mad we never got to meet up!! I'm sure Scott told you but we ended up not even going into the game because of the weather! We just watched it at the bar on campus and then got food after! We will definitely meet up soon!! Looks like a fab weekend! I'm seeing Mockingjay on Thanksgiving and I can't wait! Those sausage balls look amazing! And it looks like you had a wonderful weekend! Happy Monday! Mmm those sausage balls look awesome! My husband would totally love them. I'm hoping we can catch Mockingjay this weekend, we both can't wait to see it! 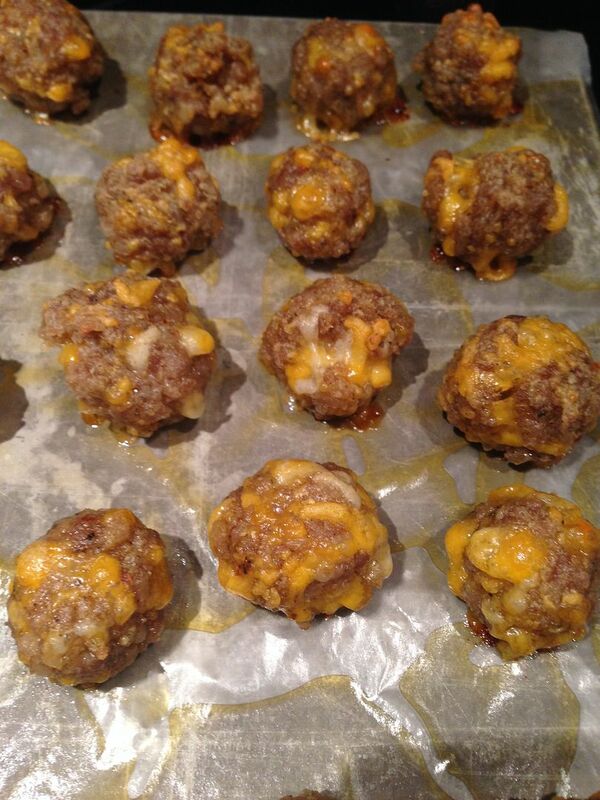 Sausage balls are one of m y fave snack foods for sure, so delicious and easy! YUM!! Sending you some happy vibes for sure! Oh those look delicious and a breakfast tailgate sounds like a really good idea! Glad you had a good weekend! 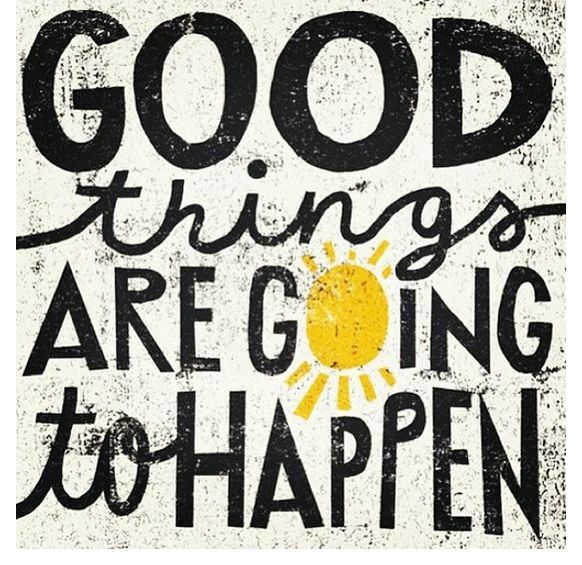 Here's to a good week as well! Mmmmmmm, those meatballs look fantastic! Great job! 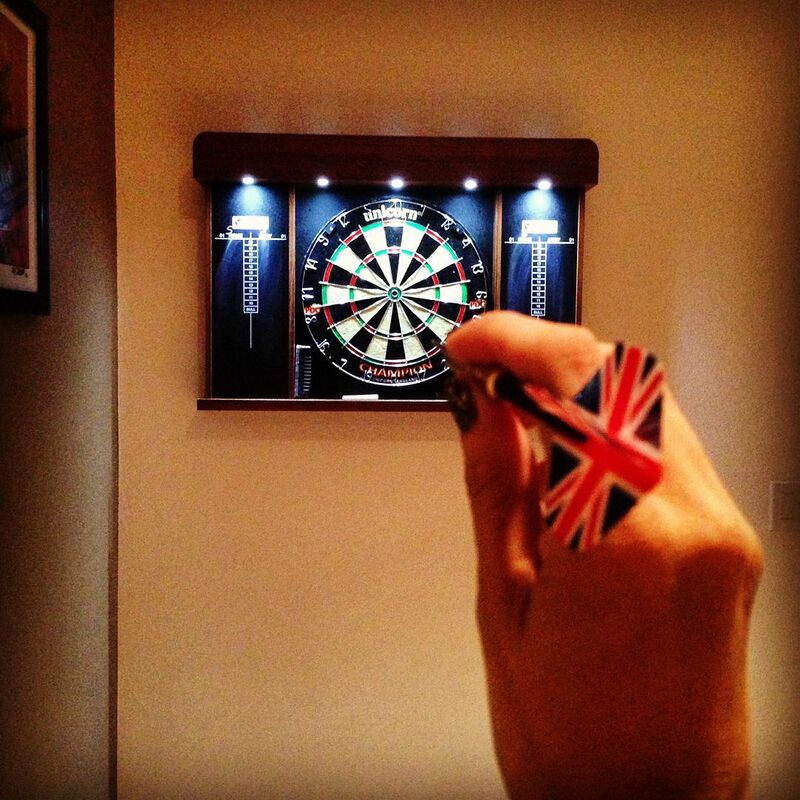 I love darts! Happy Monday! Vodka shots = never, ever a good idea! We did a few too many on Saturday night and Sunday was pretty rough ;) Those sausage balls look amazing and good luck with your meeting tomorrow!! Hope your meeting goes well and you get lots of rest! :) Looks like a fun weekend! :) Those sausage balls look awfully interesting! Is it just meat and cheese?! Sounds like a great party passing dish! you guys are definitely diehard UCF fans! I probably make it to 1 game each season so I fee like a bad alumni but always getting out there and tailgating! I'll probably see Mockingjay over this holiday weekend. Those sausage balls look perfect for tailgating! Sausage balls are one of Pete's favorites! I can't wait to see Mockingjay! Hopefully over the long holiday weekend! Those sausage balls look AMAZING!! Wow. Recipe? I can't wait to see Mockingjay! I haven't been to the the movies in forever. I can't even remember the last I went to the movies. Glad UCF had such a big win this weekend! I saw Mockingjay this weekend, too. It was awesome, although I missed having regular Peeta in it.